Whether it’s the presidential election or deciding what toppings to order on pizza, group decisions can be difficult. 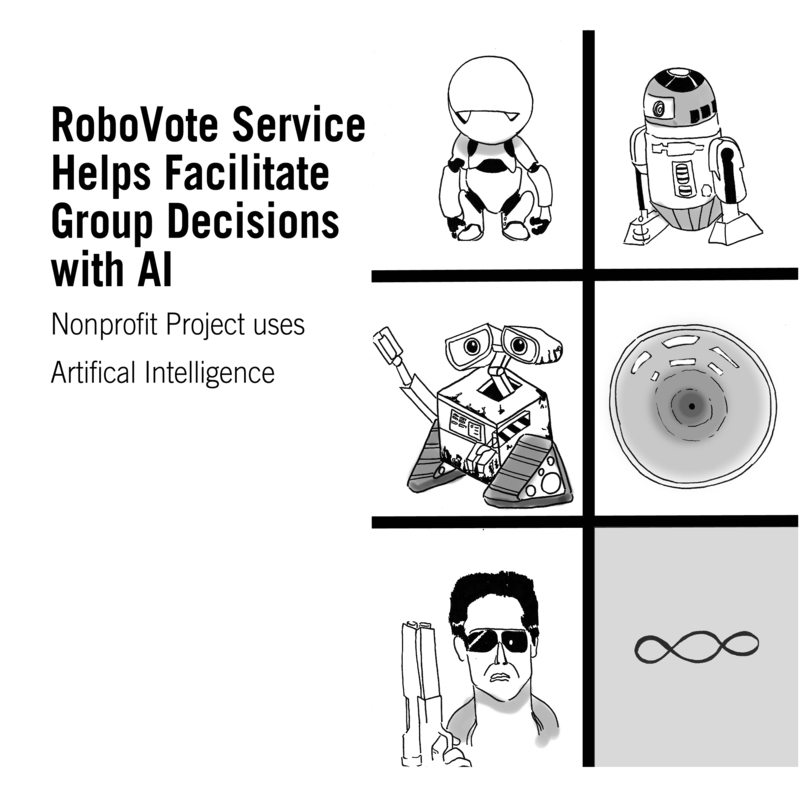 However, researchers at Carnegie Mellon University and Harvard University have created a nonprofit academic project called RoboVote that uses artificial intelligence (AI) to make optimal group decisions. The service was created by Ariel Procaccia, an assistant professor in Carnegie Mellon’s Computer Science Department and an affiliated faculty in the Machine Learning Department; Nisarg Shah, who previously earned his Ph.D. at Carnegie Mellon under Procaccia and is currently a postdoctoral fellow at the Center for Research on Computation and Society at Harvard University; Phillip Wang, a Carnegie Mellon first-year in computer science; and Brian Merlob, an independent researcher in Silicon Valley. RoboVote uses two fundamental algorithms depending on whether the poll is subjective or objective. For subjective preferences, the team uses an approach called implicit utilitarian voting, whose goal is to maximize utilitarian social welfare, or the total utility assigned to the outcome by all participants. In order to minimize a participant’s cognitive burden, the team asks for a ranking of alternatives. For objective opinions, the team again uses ranking of alternatives to pinpoint a list of options that is closest to the true ranking, as determined by the available information and the relative quality of the alternatives. The difference between an alternative’s ranking and true ranking is known as the Kendall tau distance, which describes the number of disagreements. The service then selects the ranking that minimizes the Kendall tau distance for each alternative. RoboVote’s algorithms are very vigorous, and they seek solutions that are the closest to the truth. This research was supported by The National Science Foundation, the Office of Naval Research, the Sloan Foundation, and Amazon.